Everyone has their favorite way of consuming Nutella—on crêpes, in a fluffernutter and banana sandwich or intravenously. Well now there’s one more way to get chocolate-hazelnut goodness into your bloodstream: cereal. 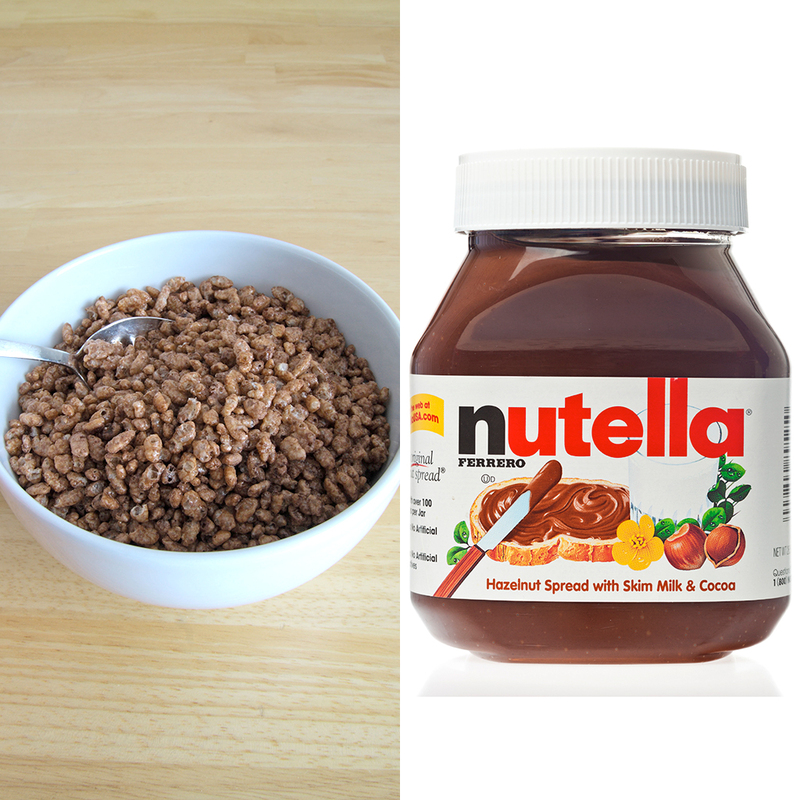 The blogging sisters at A Beautiful Mess have not only succeeded in creating Nutella-flavored cereal, they’ve also posted the recipe online to the delight of sugar addicts everywhere. The recipe doesn’t look too different from one you would expect for making tiny Nutella cookies—not that we’re complaining. If Cookie Crisp is a cereal, then so is this. In a large bowl, combine all the ingredients and stir until a thick and somewhat crumbly dough forms. Lightly cover your hands in flour and pinch off very small pieces of dough. Roll into tiny balls and place on a baking sheet lined with parchment paper. The smaller the balls, the better. Bake at 350° for 10 minutes. Remove from oven and rotate the balls so they don't burn on one side. Bake for an additional 12-15 minutes until crunchy but still a tiny bit soft in the center.